The annual Spring Musical is a joint production of the Tyee PTSA and Newport High School Drama/Theater Tech. The Musical will be held at the Newport Performing Arts Center, May 16th, 17th and 18th. Audition sign-ups will take place at Tyee Middle School Jan 7th-10th. This year's musical Keep the Magic is an original script and will be accompanied by our own Live Pit Orchestra made up of fourteen amazing Tyee musicians! If you have any questions or would like to be involved with this year's production, please contact this year's Tyee Musical Co-Chairs: Jennifer Klenetsky and Erica Halford at tyeemsmusical@gmail.com. 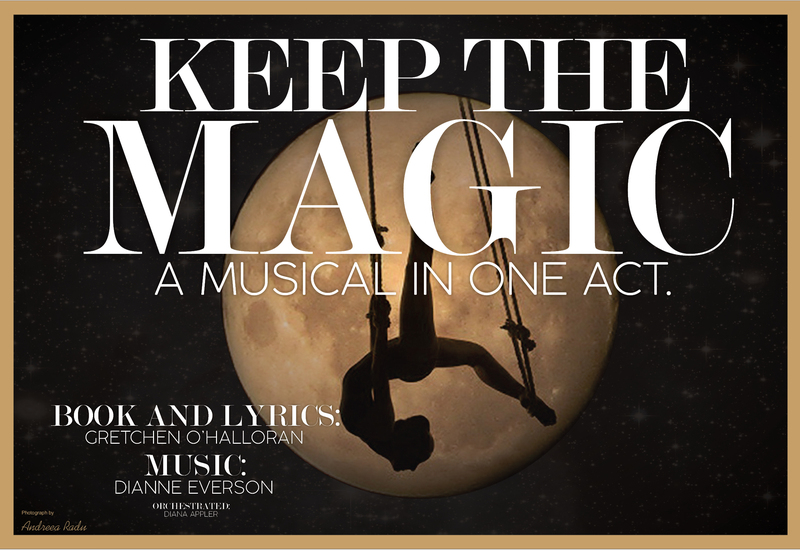 Keep the Magic is the musical story of a circus “family” whose very core is threatened when the youngest member, Tina, declares she is leaving the show. Her helplessness is shown in her loss of belief in herself. The pain of Tina leaving is unbearable for her circus family. Tina must make a choice between her familiar past and the excitement of exploring the 1920's Jazz Age on her own. Through her internal struggle she must find the magic that Stubbs, the clown, says is inside each of us. Keep the Magic and believe in oneself. Monday January 7th thru Thursday January 10th during lunch at the Jubilee window. Turn in your forms and payment and sign up for an audition time slot! Friday January 11th, Monday January 14th and Tuesday January 15th from 3:05 pm until 4:20 pm. Sign in for your audition in the Commons at least 5 minutes before you are scheduled. We will have copies of the audition sides available. If you wish to warm up your voice, we will have at least one practice room available. The Musical Activity Fee is $85 for Cast and Backstage Crew and $50 for Orchestra Members. What you receive for it: 4 months of rehearsals with professional coaches (Director, Music Director, Choreographer and Tech Director), scripts, vocal and instrumental soundtracks, a production t-shirt, cast and crew party, show photographs, group photo and participation in a first-hand theater experience at Newport High School Performing Arts Center. Scholarships are available for families going through financial hardship.